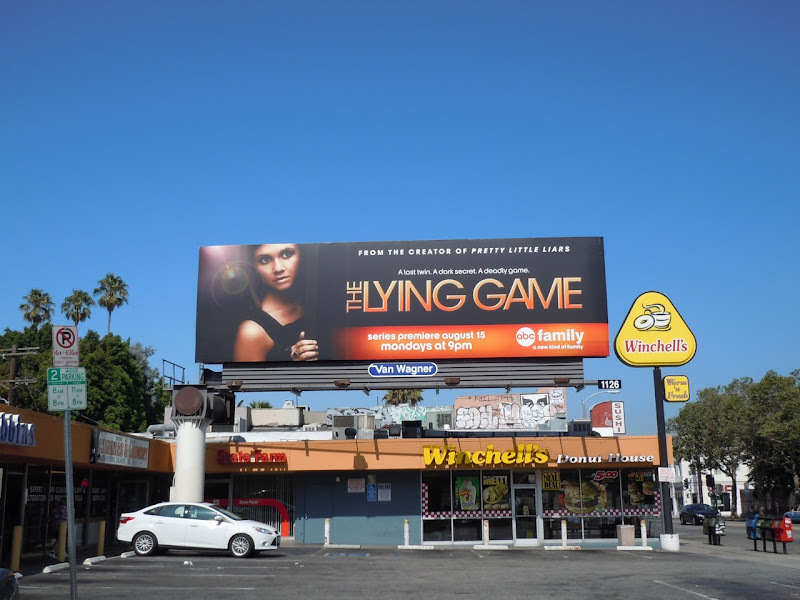 Here's two billboard creatives for The Lying Game to kick off another TV WEEK here at Daily Billboard. This TV season twins seem to be all the rage, as this new series bears a few similarities with Sarah Michelle Gellar's new show Ringer, where she also plays twin sisters. In ABC Family's new show, Alexandra Chando plays 'Emma Becker' and her identical long-lost sibling 'Sutton Mercer'. 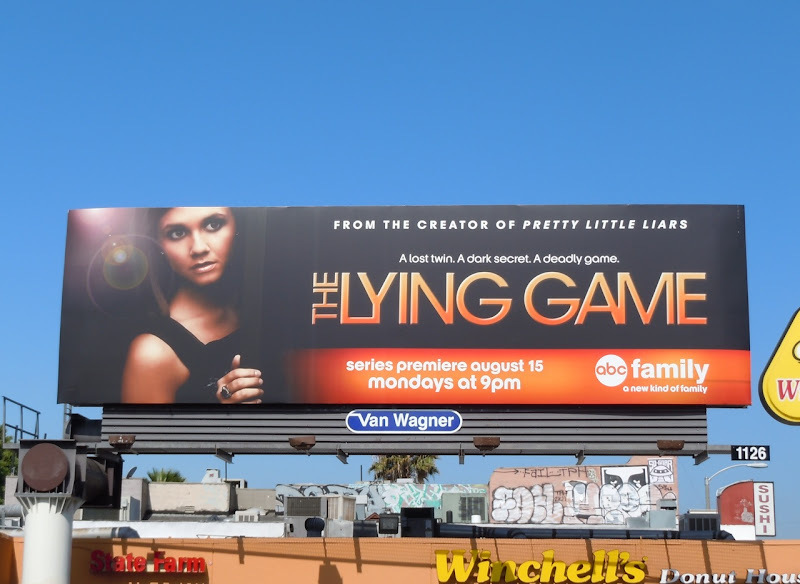 The only problem with the title design on this billboard is that at a glance from a distance the 'The' could be mistaken for an 'F', making it the 'Flying' not 'Lying Game'. 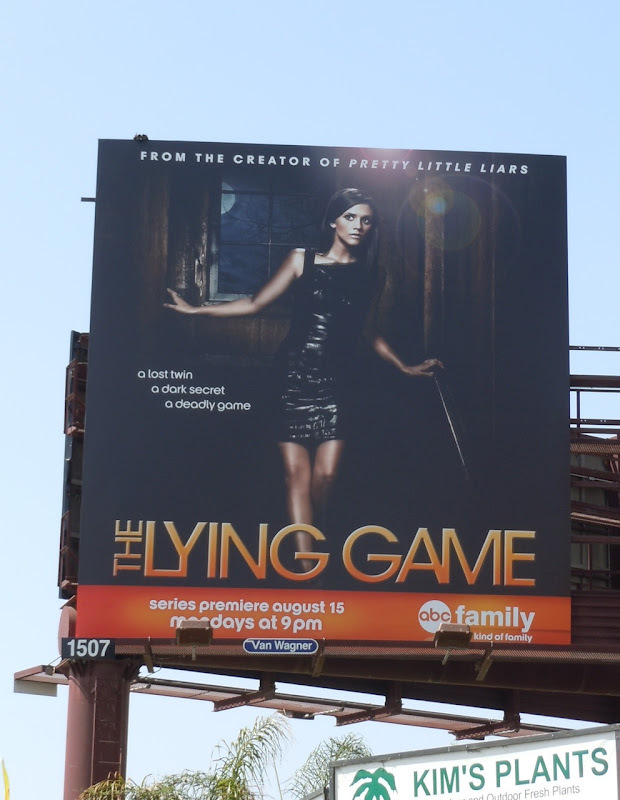 The squarer billboard format was snapped along La Brea Avenue on July 28 and the standard version along Melrose Avenue on August 5, 2011.